Here at Metro Express Service, we learned early on that folk in Cedar Hill, TX, expect the best HVAC service possible. That is why we delivered guaranteed results and more. Since 1987, Metro Express Service has been the trusted name in heating and cooling services in Cedar Hill. We continue this trend even today – years later. For 99% of the year, your HVAC system works fine. For that 1%, perhaps a single day of the year, everything shuts down and you’re left uncomfortable and annoyed. If that’s the case, know you can schedule 24-hour HVAC repairs with Metro Express Service. If you notice the following signs, give us a call! If your system is less than ten years old, operates efficiently most of the time, and doesn’t require costly repairs, it’s better to schedule HVAC repairs now. 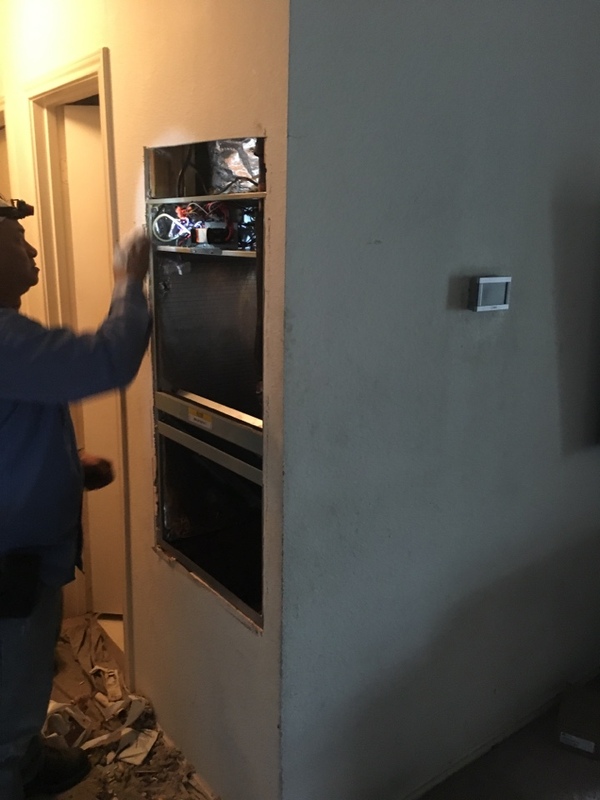 If your system is older than ten years, requires frequent costly repairs, and costs too much to operate each month, an HVAC replacement is a smart investment. We offer a 1-year warranty on all repairs. We provide 24-hour emergency service in Cedar Hill. You’ll receive a free service call with your scheduled repairs. If your system fails in the middle of a holiday dinner, there is one name you can trust in HVAC repair: Metro Express Service. We are available 24/7 to provide heating and cooling services in Cedar Hill, TX. Whether you’re dealing with a blown part or low refrigerant, our technicians are here to help! Cedar Hill is a short trip from downtown Dallas, right along the shore of Joe Pool Lake and Cedar Hill State Park. This is the area you retire to after a long, successful career. With all of the hiking, beautiful landscapes, and expansive homes, Cedar Hill has won our hearts. Call now for 24-hour heating and cooling repair in Cedar Hill, TX, from the experts at Metro Express Service. You can reach us any hour by calling 817-516-0700! Great service from Carlos. He checked everything. Each visit when we call your company comres out right away. This last vist 12/26/17. M.E.S came out and Advise the issue & sign ua up right away to finance new unit & came out 12/27/17 & install a new unit for our family. The service was Great.. Thanks for the quick response. Replacing 3 ton straight electric heating & cooling system with Trane 3 ton XR16 complete heatpump system.